In this cold, cold winter, stuck inside for days, I think we’re all going a little stir crazy. Unless you are on the west coast–and then I hate you. In times like these there is only one thing you can do to raise the spirit and get the blood pumping–and no I’m not talking a broody shower scene. Yep, you guessed it it’s time for a Dance Party! Now here are some of my Top Five kdrama Dance Party Moments. You know, characters getting their groove on! Episode 12, can we get a whoop-whoop! While we were recording, it also happened to be my birthday, so it’s Stephanie’s Choice on topics! So we’re a little fast and loose with the chat. The ending just left me with a bad taste in my mouth. Which got me to thinking about all the other dramas that were perfectly enjoyable, until those last few episodes, or even minutes came in and the writers blew the ending for some reason or another. So, with the deadly cold I barely survived last week, some news has begun backing up here. So here’s a bunch of interesting stuff in easy bite sized pieces. Aww…I missed you guys almost as much as I missed the ability to breathe through my nose. He’s in the Army Now. Awww…..Song Joong-ki has officially shaved off the hair and reported for duty. It seems too soon doesn’t it? I feel like we should have more warning, more time to prepare ourselves for our favorites to go off to disappear for their 2 years of military service. While watching Smile Dong Hae the first time around I was totally hooked. Each episode made me gasp with each ever more ridiculous plot twist, each cliffhanger made me put off food and bathroom breaks for way, way too long. I HAD to find out what happened. It was the exact definition of a crack-tastic kdrama. Jeong Kyeo-woon’s coming back to TV, Jeong Kyeo-woon’s coming back to TV! Yep, it has been confirmed that my favorite pointy eared Khottie is coming back to TV after his pretty awesome turn in History of a Salaryman. Be it a rainy day, or a blue mood, or just a genuine love of drama, we all have shows we go back to again and again. For us these shows may be cozy, heartwarming, or just a pick me up. We don’t necessarily have to rewatch the show from start to finish, we watch favorite parts, favorite scenes, or heck we may even just highlight reel the whole series. 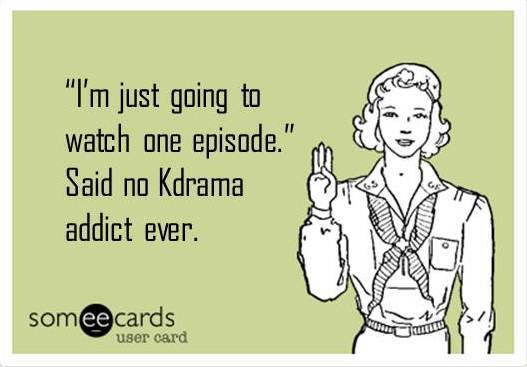 I personally also use these dramas when I want to watch Kdrama but don’t have time and don’t want to take the chance to get sucked into a new show. You know, because once a show has me in its clutches, I’m there until the end. Again, like the list of Cracktastic Kdramas, these may not even be the best shows, they may not even show up on my top 5 or even top 10 list of favorite dramas. But when the urge to rewatch comes upon me, there they are, waiting. So earlier this week we discussed the Kdrama phenomenon Grossly Irresponsible Parents. These are the worst of the worst offenders. These parents just make me angry with their willful ways and endless expectations for their children to clean up their messes. Once again, keep in mind the show’s I’ve seen, I’m sure there are more, possibly worse parents out there, and I’m sure I’ll bump into them at a later date. Countdown to the NEW site!